The Anti-spam component can be used on devices with two SIM cards. It cannot be used on mobile devices lacking SIM cards. 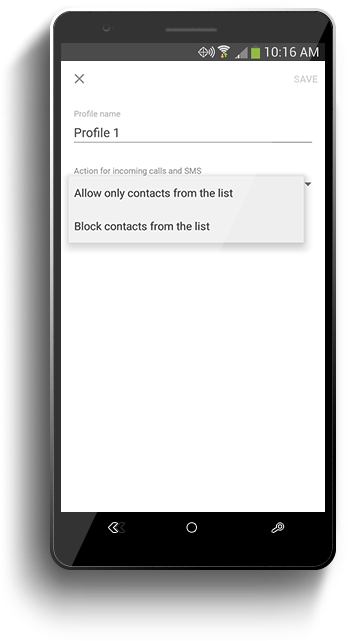 Phone book — in this mode calls and SMS are allowed only from the phone book contacts. 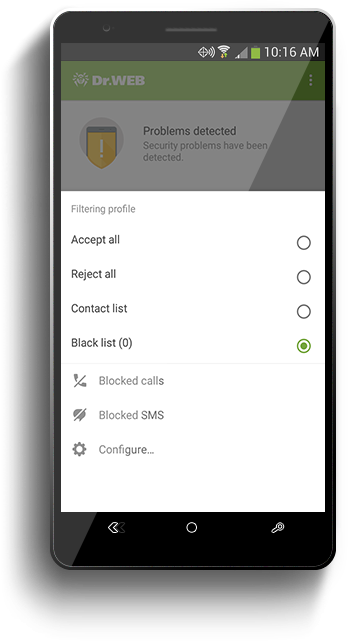 Blacklist — phone calls and (or) SMS from the numbers on this list are blocked. You can create separate lists of numbers and program actions that are to be taken with the calls and messages coming from those numbers (allow/block). Access to the Call and SMS Filter settings can be password-protected to prevent unauthorised changes. The device administrator sets the password when configuring the anti-virus account.